Chairman John J. Bonacic: Does anyone else have any questions for Mr. Garcia? I'm hearing none. Chairman: No, no, no. Mr. Brady, you're out of order. You're out of order. You don't have to answer that. I'd like to call a vote now. All those in favor of Mr. Garcia going to the floor for full confirmation say “Aye.” Anyone opposed? Motion is passed. Senator Ruth Hassell-Thompson: Only we can ask questions. Visit my Bully Judges facebook for current updates. You can find updates are pertaining to Judicial Bullying and their blatantly corrupt and retaliatory behavior. The Facebook page also shows a criminal quid pro quo relationship between New York State and Federal Judges and the City and State of New York's elected law enforcement officials. Anyone that owns a New York City co-op or condo apartment or has any type of contracts must see this video proving corruption and collusion between the New York State Judiciary and Law Enforcement officials. The Video proves that New York State Justices are being blatantly corrupt and freely permitted to alter and tamper with Offering Plan contracts to void the contracts rights with criminal intent and the Manhattan District Attorney, Cyrus Vance, and Attorney General Eric Schneiderman are right there colluding in the criminal schemes. James Brady is a pro se litigant non attorney confronting those in power that believe they are above the law and have absolute immunity to be as corrupt as they wish to be for their personal gains. 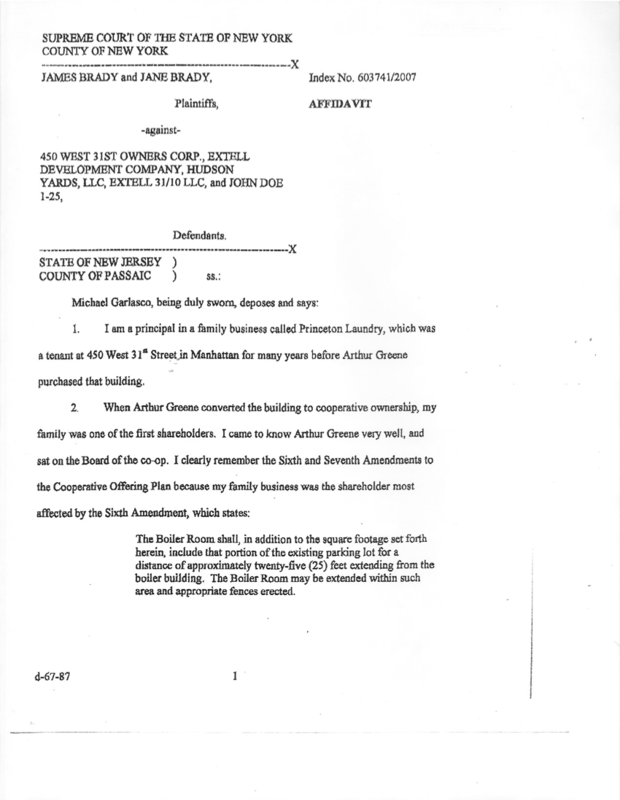 THIS PUBLIC CORRUPTION SCANDAL DESCRIBED BELOW UNDER BULLYJUDGES.COM PERTAINED TO WHAT THE BRADY FAMILY SUFFERED THROUGH DURING THE FIRST FAILED ATTEMPT BY THE CO-OP CORPORATION AT SEIZING THE AIR RIGHTS THAT WERE CONTRACTUALLY APPURTENANT TO THE BRADYS “12TH FLOOR AND ROOF UNIT APARTMENT." THE YEARS COVERED IN THE WEBSITE BELOW PERTAIN TO 2007 THROUGH 2012. THE SCANDAL HAS MUSHROOMED SINCE THEN INTO A CRIMINAL QUID PRO QUO BETWEEN THOSE IN POWER AND THE MEDIA THAT HIDES THE CRIMES OF THOSE IN POWER. THE LATEST CAN BE FOUND LOOKING UP “JAMES H. BRADY” ON YOUTUBE. PLEASE LOOK AND COMMENT. SILENCE IS CONSENT. FOLLOW ME ON TWITTER FOR THE EXPLOSIVE FINALE THAT WILL BE TAKING PLACE IN 2018 AS I HOLD THOSE IN POWER AND THEIR MEDIA CONSPIRATORS ACCOUNTABLE FOR THEIR CRIMES. NO ONE WILL PASS MY ONE QUESTION CORRUPTION TEST SINCE NO ONE WILL BE ABLE TO EXPLAIN WHY THEY PRETEND TO SEE NOTHING WRONG WITH ALL 40 WORDS THAT DEFINED MY CONTRACT RIGHTS WERE REPLACED WITH 70 DIFFERENT WORDS THAT VOIDED MY CONTRACT RIGHTS. 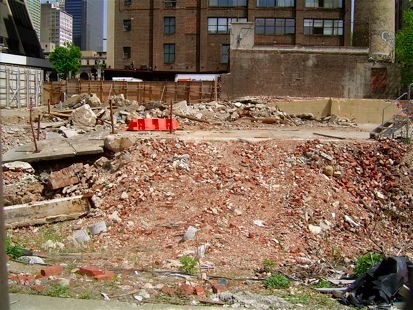 In a July 15, 2014 Decision a New York Supreme Court Justice by the name of Shirley Kornreich had unlawfully rewrote the Offering Plan contract description of my Manhattan commercial co-op apartment to void its right to have the utilization of the premises permissible for development rights, which were worth 70-90 million dollars for the benefit of two billionaire NYC Developers. For years New York Attorney General Eric Schneiederman and the Manhattan District Attorney Cyrus Vance did nothing about it and permitted the crime to take place, since both of these elected officials were much more interested in pleasing and protecting the powerful NYC Developers and their powerful deep pocketed law firms then to protect the contract description of my Manhattan co-op apartment as it was registered, accepted and promised in the Offering Plan registered in the Office of the Attorney General in 1980. What makes matters worse is that when both of these man were sued in the New York State and the New York Federal Courts for their inactions and failure of duty they fought against me and instead both advanced the scheme to make sure the deep pocketed political connected NYC Developers got away with the crime. 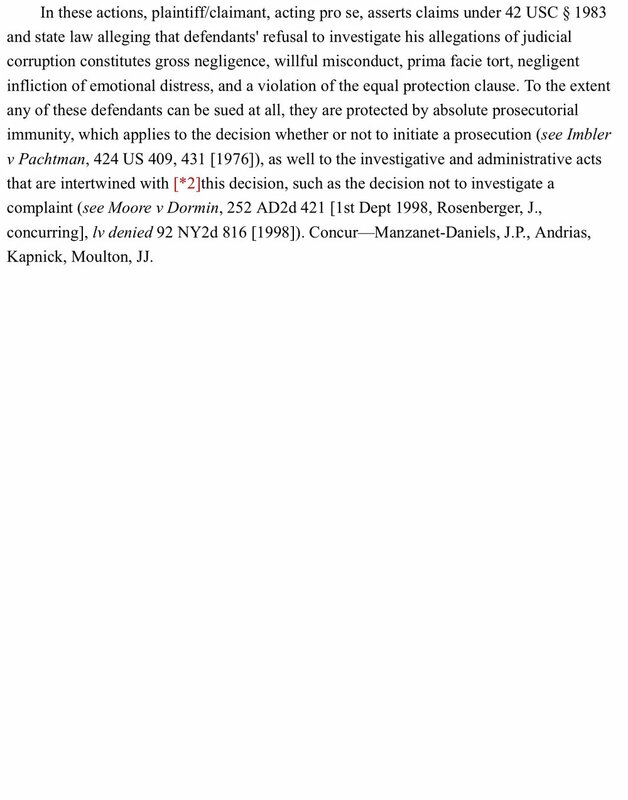 The arguments of Eric Schneiderman and Cyrus Vance included advancing the forged unlawful contract written by Justice Kornreich as the true interpretation of my contract, although that made absolutely no sense since Judge Kornreich replaced the 40 words in my contract with 70 different words that voided what the contract initially said on its face. Both man also argued that they "enjoy absolute immunity" from accountability for their crimes. The State and Federal Courts never addressed the crime or the fact that my contract was unlawfully rewritten. Instead both courts completely avoided the crime and simply said these men and their Offices "enjoy absolute immunity" and dismissed by claims on that ground. Both Courts failed to address the fact that my 14th Amendment rights to equal protection under the law was being completely violated through their honest services fraud. Court records prove both State and Federal Judges attacked me personally, sanctioned me hundreds of thousands of dollars , and placed filing injunctions against me all to help advance the fraud scheme. None of the Federal or State Judges ever addressed the fact that the 40 words that were in the Offering Plan contract were replaced with 70 different words that voided what the contract said on its face. The sanctions against me were in over $500,000 and were meant to silence me and make me too weak to fight back. The filing injunctions in State and Federal Courts were issued to make sure that no one is ever held accountable for the criminal stealing of the air rights that were appurtenant to my "12th Floor and Roof Unit" apartment in the 1980 Offering Plan. Both courts acted in concert to commit these crimes and obstruct justice. The actions of the Federal Judges, State Judges, AG Eric Schneiderman and Manhattan District Attorney Cyrus Vance are 1) a deprivation of my rights under color of law, 2) honest services fraud, 3) hate crimes in that they all acted with distain against a self represented litigant, and 4) RICO in that their actions are organized crime where the State and Federal Judges colluded with Eric Schneiderman and Cyrus Vance to completely avoid addressing the underlying crime and instead attached me personally, issued sanctions against me and both issued filing injunctions. All of these acts are a result of the Judges following the express instructions of the deep pocketed and politically connected lawyers and law firms that represented billionaire NYC Developers Jeffery Katz of Sherwood Equities, Frank McCourt of McCourt Global and their powerful title company Chicago Title which would have been on the hook for over $100 million dollars for the developer Jeffery Katz tortuously interfering with my Offering Plan contract. Mr. Katz knew he needed the waiver, which is why he asked for it in 2012 before purchasing the rights from the co-op corporation. In November of 2007, the Bradys filed a motion for a preliminary injunction seeking to enjoin the sale of their unit’s air rights by the Co-op board of 450 W 31st Street Owners Corp to Extell Development Company without a waiver of the Bradys’ unit’s rights. The Co-op board was trying to discard the fact that they were contractually bound to give the utilization of the premises permissible development rights to “The 12th Floor and Roof Unit” pursuant to the expressed terms of the Amended Offering Plan. On November 29, 2007, the Bradys went to New York Supreme Court where the case was assigned to Supreme Court Justice Marcy Friedman. Justice Friedman denied the preliminary injunction calling the Bradys’ claim meritless. At the same time, Justice Friedman completely contradicted herself by acknowledging twice that the Bradys’ lease gives them the right to build on or above the roof but at that time only claimed that she did not see how the attempted transaction would violate that right. In an acted of depraved indifference four Appellate Court Justices denied protecting the Bradys’ rights and lifted the stay of closing on the transaction between the Co-op Corp and Extell without giving any explanation at all. However, Extell’s title company, CommonWealth, rejected the Supreme Court and Appellate Court’s decision and refused to close because the attempted transaction was clearly in violation of the Bradys’ unit’s rights and would require a waiver of the Brady’s rights before they would be able to grant clear title. The Co-op never asked for or obtained a waiver from the Bradys of the rights and Extell was never able to get a clear title. Thus, the attempted sale was enjoined and Extell received their money back. The building shown below was never built even though the digging had already begun. The Co-op Corp. attempted to seize and shift the Air Rights from the 12th Floor and Roof Unit in order for Extell Development to construct the building shown to the left without seeking a waiver from the Bradys of their unit’s rights. The entire case should have been very simple. The case pertained to the Bradys seeking protection in the New York State Judicial System after the other shareholders in a commercial Co-op tried to seize and sell the air rights that were expressly conveyed and reserved to their unit in the amended offering plan for 450 West 31st Street Owners Corp.
"[SEVENTH PARAGRAPH - NEW] The Twelfth floor and roof unit shall have in addition to the utilization of the roof, the right to construct or extend structure on the roof or above the same to the extent that may from time to time be permitted under applicable law"
This footnote to the " Schedule of Units" was added as a final term in which the sponsor of the Offering Plan, Arthur Green, agreed to declare the Offering Plan effective and all people wishing to become shareholders were required to sign a contract agreeing to this term. The amended Offering Plan discloses that the sponsor was reserving this unit for himself and that this term was added by a second law firm hired by Mr. Green to review the Offering Plan and advise him before he agreed to declare the Offering Plan effective. Applicable law changed in 2005 pursuant to the creation of the Hudson Yards District. As is shown in the illustrations below, suddenly the Co-op Corporation was able to construct and extend up to approximately 190,000 square feet of additional structures on its parcel of land. Pursuant to the seventh paragraph footnote to the schedule of units, the Co-op Corp. was to contractually bound to convey and reserve the utilization of these development rights to The 12th Floor and Roof Unit. As will be shown in the illustrations below, the air rights given to the 12th Floor and Roof Unit were worth of $95 million dollars. One example proving the value of the air rights is $500 per sq. foot can be seeing in the Mar 4, 2012 article in the New York Post shown below. The building that Extell was planning on building connected directly to the High Line at the fork of where the second and third phase of the High Line meet, which provides the buildings tenants access to the Hudson River and the Meatpacking District. A second example proving that the air rights are worth at least $500 per sq foot can be seen by looking at the New York Times article below. In the article, Extell Development is shown to have sold one 10,000 sq foot unit for 90 million dollars in an all glass high rise tower similar to the one Extell planned to build on the lot adjacent to 450 Owners Corp. The intent of the sponsor adding the seventh paragraph footnote to the schedule of units was clear on its face. Any permissible development rights above the 104,000 square feet already utilized by the current structure were to be given to the 12th Floor and Roof Unit. This fact was confirmed by Michael Garlasco, an original shareholder in the Co-op Corporation. The point of the Bradys going to court was to seek to enjoin the transaction between the Co-op Corp and Extell Development and to obtain declaratory relief that the Bradys were given the right to have the utilization of the premises permissible development rights. The Bradys achieved both of these objectives. 1.The attempted sale was enjoined. These victories cannot be reconciled with the other decisions made by Justice Friedman and the Appellate Court Justices. As will be shown below, Justice Friedman was deliberately deceptive in her understanding of the meaning and intent of the seventh paragraph footnote after the Bradys refused her threat to accept the $500,000 that the Co-op offered for the Bradys to waive their rights. This offer was 2 million dollars less that what was offered by Extell one month prior in April of 2008 and taken off the table at the court ordered May 2008 settlement talks. Also shown below, five First Department Appellate Court Justices re-wrote the description of the Bradys’ unit in retaliation for the Bradys reporting Justice Friedman to the Commission on Judicial Conduct so the Bradys’ would be stripped of the 90 million dollars worth of air rights that are part of their unit. Justice Friedman’s July 2, 2008 decision shows, after the Bradys refused to waive their right to the premises permissible development rights for the $500,000 offered by the Co-op, Justice Friedman is shown no longer acknowledging her true understanding that the seventh paragraph footnote gave the Bradys unit the right to have the utilization of the premises permissible development rights. Justice Friedman ruled that the paragraph was not ambiguous and thus she knew she had no legal authority to add the phase, "but does not convey are rights to plaintiffs." The added words voided the rights that were expressly and exclusively given to the Unit pursuant to the seventh paragraph footnote to the schedule of units. Justice Friedman denies what the paragraph says on its face and denies that as written, the paragraph does, “expressly so provide,” which is why no legal authority disputes the Bradys’ expert testimony that the intent of the sophisticated business people was to convey air rights to plaintiffs. It is objectively impossible to believe that Justice Friedman did not see the intent for why the “sophisticated business people” inserted the seventh paragraph footnote to the schedule of units. -The American Heritage College Dictionary (3rd Ed. 1993) -- Air Rights - The rights to develop further the heretofore unused space above a building or other structure. -Black’s Law Dictionary (5th Ed. 1979) -- Air Right - The right to use all or a portion of airspace above real property. Finally, shown below is Justice Friedman deliberately and deceptively rewriting the contract with the criminal intent of voiding the rights that she knew belonged to the Bradys’ unit. Justice Friedman also made numerous statements about Transferable Development Rights (TDRs) when the sale did not even pertain to TDRs. It pertained to "Development Rights". “Transferable Development Rights” were not granted during the rezoning of the district. Owners Corp was never granted any or permitted and TDR (Transferable Development Rights) pursuant to the zoning resolution, and thus this portion of her decision is gibberish. Until the time that Extell purchased that parcel of land adjacent to 450 W 31st, it was impossible for the Co-op to transfer its “development rights” to Extell because the class of rights they possessed through the zoning resolution were “development rights,” not “transferable development rights.” The difference is shown below in the illustrations from New York City Department of Buildings zoning handbook. Extell’s purchase of the lot on 31st Street now permitted Extell to adjoin the zoning lot owned by 450 W 31st St. Owners Corp.
Zoning Lot Merger (LEFT) - The joining of two or more adjacent zoning lots into one new zoning lot. Unused development rights may be shifted from one lot to another, as-of-right, only through a zoning lot merger. Transferable Development Rights (RIGHT) - allows for the transfer of unused development rights from one zoning lot to another in limited circumstances, usually to promote the preservation of historic buildings, open space or unique cultural resources. For such purposes, a TDR may be permitted where the transfer could not be accomplished through a zoning lot merger. In the case of a landmark building, for example, a transfer may be made by CPC special permit from the zoning lot containing the designated landmark to an adjacent zoning lot or one that is directly across a street or, for a corner lot, another corner lot on the same intersection. NOTE: If all of the gibberish about transferable development rights is removed from the ORDER, ADJUDGE, AND DECLARE all that would remain is that Justice Friedman gave an ORDER, ADJUDGE and DECLARATION stating “pursuant to paragraph 7, plaintiffs, have, in addition to the utilization of the roof, the right to construct or extend structures upon the roof or above the same to the extent that may from time to time be permitted under applicable law.” This means that to the extent permitted under applicable zoning law, the rights to the utilization of the premises permissible development rights belong to the Brady's unit. Yet, not one of the seventeen justices of the State of New York were willing to admit the meaning of their own words. On April 16, 2009 The Bradys sent a list questions to Justice Friedman asking her to clarify her numerous inconsistent statements. 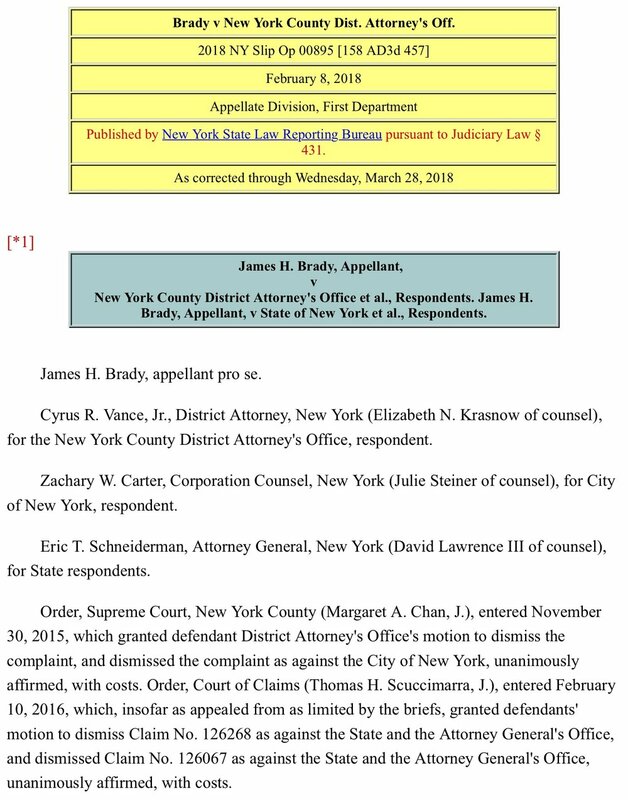 These questions were also sent to Court of Appeals Chief Judge Jonathan Lippman, Chief Administrative Judge Ann Pfau, and Administrative Judge Fern Fisher and the Commission on Judicial Conduct. Based on the letter that was sent to Chief Administrative Judge Ann Pfau, Chief Judge Jonathan Lippman and Administrative Judge Fern Fischer they had a duty to take appropriate action but they did not. These Judges were given a copy of the April 16, 2009 letter that was sent to Justice Friedman, which provided more than twenty examples of how Justice Friedman was being deliberately deceptive in her three decisions pertaining to the Brady case. The Commission clearly saw that the Bradys’ claim had merit, which is why they agreed to conduct an investigation in the first place since most cases are dismissed immediately upon initial review. Ultimately, they proved themselves to be an ineffective Commission. According to the Commission’s website, almost all cases filed against a State Judge are dismissed. In the Bradys’ case, although the Commission was provided with overwhelming proof of deliberately deceptive behavior on the part of Justice Marcy Friedman, the Commission sent the Bradys a letter stating that the charges were dropped for lack of evidence. Under the rules of the Court of Appeals, all the Bradys needed to do was provide "a single case of deliberately deceptive behavior" on the part of Justice Friedman to reach the threshold where the Commission on Judicial conduct was supposed to discharge the appropriate response, which is removal from the bench. The copy of the letter that they were sent showed the Commission more than twenty examples of Justice Friedman's deliberately deceptive conduct. This rule is very important to follow for the protection of the citizens of the State of New York. Despite all the examples of deliberately deceptive behavior on the part of Justice Marcy Friedman, the members of the Commission ultimately would not even admit to seeing a single example of deliberately deceptive behavior. In fact, the letter below shows that in the end the Commission did not even admit to seeing a single case of "bias, prejudice, favoritism or corruption" on the part of Justice Friedman. This conclusion was objectively impossible for the Commission to reach based on the overwhelming proof that was provided to them. The corruption on the part of the commission members is well known and provides another reason why the Justices of the State of New York freely conduct themselves as corrupt bullies. This dishonesty is only logical because the Commission is made up almost exclusively of current Judges, former Judges and practicing attorneys, all of whom have nothing to gain by admitting to seeing wrongdoing and lots to gain by turning their heads the other way. Under current New York State laws, their investigations are permitted to be held secretly outside of the public eye and the victims in almost all cases are denied the opportunity to hear how their complaint is being addressed. The corruption in this organization is best proven by the fact that Justice Acosta, whom is one of the Appellate Court Justices responsible for re-writing the seventh paragraph footnote with the criminal intent of trying to help the Co-op attempt to seize the premises development rights from the Bradys’ unit, is a member on the Commission on Judicial conduct. Furthermore, Justice Acosta was appointed by Chief Judge of the Court of Appeals Jonathan Lippman. By reading the two, one sentence long internally inconsistent decisions shown below, it is clear that these Appellate Division First Department justices are being deliberately deceptive in their understanding of the meaning of the seventh paragraph footnote and that they are acting in retaliation on behalf of justice Friedman, who is their friend and colleague. It's clear that their intention was to punish the Brady's for reporting Justice Friedman's criminal actions to The Commission on Judicial Conduct and reporting her to her friends Chief Administrative Judge Ann Pfau, Chief Judge Jonathan Lippman and Administrative Judge Fern Fisher. There was not any rational basis for these two internally inconsistent decisions. It is transparent that these Judges were being deliberately deceptive as to their understanding of the seventh paragraph footnote. These Justices are colleagues and friends of Justice Marcy Friedman’s, and it is very obvious that they acted with vengeance and with criminal intentions. Through their decisions, these Justices were attempting to help seize the development rights from the Bradys’ unit which they knew the Bradys paid millions of dollars to have. The Bradys are demanding a clear declaration of their unit’s rights and the prosecution of all the Justices that helped the Co-op in its attempt to seize their unit’s development rights. A review of the two, one-sentence long decisions proves that the decisions are illogical and it is not believable that these Justices were not being deliberately deceptive. These Justices know these two statements conflict with each other. When the Justices say that the, “...plaintiffs have the right to construct or extend structures upon the roof or above the same to the extent that may from time to time be permitted under applicable law...” that means, to the extent permitted under zoning laws, paragraph seven does convey and reserve those rights, and there is no reason for these Judges ever to have believed otherwise. The New York Department of Buildings Zoning Glossary proves that the “applicable law” in paragraph seven was expressly referring to zoning law since zoning law alone determines what structures can be constructed or extended on a parcel of land. The Court’s argument about who owns the development rights was never in dispute, and yet, they falsify this as being an issue before the court. The Court deliberately made this false argument so that they could rule against the Bradys. The argument was that the Co-op doesn't own the Bradys block of shares and have no right transferring rights given to the Bradys’ unit. This Court also knew that it was mischaracterizing what was being sold under the terms of the contract. The sale pertained to development rights, NOT transferable development rights. This court knows full well there would not need to be an expressed language in the Offering Plan giving plaintiffs, “... ownership of or veto power over the buildings development rights or air rights” The Offering Plan specifically states, “The twelfth floor and roof unit shall have in addition to the utilization of the roof, the right to construct or extend structure on the roof or above the same to the extent that may from time to time be permitted under applicable law.” This means that the Bradys, through their ownership of their block of shares, have the express right to the utilization to the premises permissible development rights and thus they do have veto power by refusing to waive their unit’s rights. These five Appellate Division justices added the phrase, “...that may be built without the use of the buildings development rights.” These Justices knew that adding that restriction would void the vary rights given to the unit pursuant to the seventh paragraph footnote. These Judges did this with the criminal intent of stripping the Bradys of the development rights that they knew belonged to them and that they paid millions of dollars to possess. Since the Appellate Division First Department Justices had no right to add the limiting words “which can be built without the use of the premises development rights " to the end of the seventh paragraph description of the Bradys’ unit’s rights they were asked by the Brady's to remove the limiting language that they added. It was explained to them by the Bradys that they had no legal right adding the limiting language to a contract that was determined to be not ambiguous. They were told that their interpretation made absolutely no sense and was not supported by any legal authority. The Appellate Division Justices discarded the fact that their internally inconsistent consistent decisions made no sense and showed no concern that their decision would deprive the Bradys of the rights that they paid million of dollars to have and that were worth over 90 million dollars. These revengeful justices were clearly retaliating by refusing to take out the limiting language that they added and that they knew would leave the Bradys in a position where they would never have the right to build since the right to construct or extend structures can only be had by having the right to the utilization of the premises permissible development rights. The Appellate Division First Department justices also refused to give the Bradys the right to appeal to The Court of Appeals, which is the State of New York's highest court. Their belief was that their unjust decisions would be the end of the road for the Bradys and they believed they would get away with their cruel and criminal actions. The Court of Appeals is an invitation only Court and in almost all cases only hears cases that the Appellate Division permits. In the Bradys case the invitation was denied but the Bradys made a motion anyway demanding justice. The Bradys demanded that the justices of the Court of Appeals fix the clearly unjust and unlawful actions of the Appellate Division justices. Seeing the obvious wrongdoing of the lower court Justices, the Court of Appeals justices did send a letter to the Bradys and the Co-op stating that they were considering hearing the case. In the same letter they asked the status of the Co-op counter claims. The Co-op litigation attorney replied saying that the Co-op never intended to pursue its counter claims (this was totally false). The Co-op was going to come after the Bradys for reimbursement for the $500,000.00 plus that they claimed to have spent on the litigation once the Bradys exhausted. Furthermore, since the Bradys would not have the money to pay these excessive legal fees the Co-op was going to then be able to claim the Bradys were in default of their lease and the co-op was going to get away with not only taking away the Bradys’ unit’s air rights but also taking away their entire unit. The Court of Appeals followed up on the their first letter with a request to see a stipulation in writing from the Co-op proving that they would not prosecute their counter claims. After receiving the stipulation the court sent the Bradys a letter denying their motion to appeal to the Court of Appeals. Essentially, the justices of the Court of Appeals permitted the unjust, internally inconsistent and deliberately deceptive decisions of the lower court to stand even though they knew that the lower court decisions permitted the lower court justices to seize the development rights rights that belonged to the Bradys unit. They permitted the lower court to get away with their retaliatory decision that punished the Bradys and robbed them of their unit's control of over 90 million dollars worth of air rights. At the same time the Bradys had an ORDER, ADJUDGE and DECLARATION saying that "pursuant to paragraph seven, plaintiffs have, in addition to the utilization of the roof, the right to construct or extend structure on the roof or above the same to the extent that from time to time be permitted under applicable law". This ORDER, ADJUDGE and DECLARATION will prevent the Co-op from selling the premises permissible development rights without a waiver from the Bradys of the rights given to there unit. As is shown in the triangle below, this case went to Court a total of eight times and resolved nothing. There is no other interpretation of the meaning and intent of the seventh paragraph footnote that exists, yet seventeen Justices from the State of New York refused to admit that the seventh paragraph footnote means what it says on its face. In other words, the case was "fixed" against the Bradys. Regardless of the fact that no alternative meaning existed, none of the seventeen New York State Justices involved in the case had the honesty or integrity to protect the Bradys’ rights. The case was "fixed" in that all these Justices participated in preventing a trial by rewriting or permitting other Judges to rewrite the seventh paragraph footnote so that the development rights given to the Brady's unit could be taken away from them without due process. The case was 'fixed" in that not one of seventeen Justices would admit that the intent of the seventh paragraph footnote was to give the utilization of the premises permissible development rights to The 12th Floor and Roof Unit. All of these Justices ruled against the weight of the evidence, which conclusively means that the case was "fixed" against the Bradys by these Justices, which is a horrific crime. Robert Johnson has been the District Attorney of Bronx County since January 1, 1989. He is the first African-American District Attorney in the history of New York State. And, in 2005, he became the longest-serving District Attorney in Bronx history. Mr. Johnson, a native New Yorker, was born in the Bronx. He graduated from James Monroe High School, the City College of New York, and New York University School of Law. From 1975 to 1978, he was a criminal defense attorney for the Legal Aid Society. This was followed by eight years as a Bronx Assistant District Attorney. In August of 1986, he was appointed a Judge of the New York City Criminal Court, and then promoted to Acting Justice of the New York State Supreme Court, where he served until 1988. As District Attorney, Mr. Johnson has emphasized the prosecution of serious crimes. At the same time, he has employed a multi-faceted approach to prosecution that also stresses drug rehabilitation, community outreach, and crime prevention strategies. In the area of community affairs, Mr. Johnson and his staff actively participate in a wide variety of programs and community activities aimed at preventing crime and improving the quality of life. Two examples of these programs are the Youth Trial Advocacy Program (Y-TAP) and the Students Together Avoiding Risk (STAR) Program. Y-TAP provides high school students the opportunity to develop advocacy skills and debating techniques by participating in a moot court competition under the guidance of Assistant District Attorneys who serve as coaches/mentors. As part of STAR, trained Office staff provide 5th and 6th graders and their parents with information on the negative effects of gangs, gun violence and drugs. Mr. Johnson, a United States Navy Veteran, is past President of the New York State District Attorneys Association and a present member of the Board of Directors of that Organization. He is also a member of the New York Motor Vehicle Theft and Insurance Fraud Prevention Board. In 1997, the Criminal Justice section of the New York State Bar Association awarded him the David S. Michaels Memorial Award for Courageous Efforts in Promoting Integrity in the Criminal Justice System. Mr. Johnson, the father of four sons, is married to Appellate Division, First Department Justice Dianne Renwick, and resides in the Bronx with his family. I am responding to your attached letter. I was very disappointed by your letter and need to address some of the incorrect comments that you made. Respectfully but frankly I must say that I feel you were clearly are trying to avoid dealing with the Judaical wrongdoing and crimes that you were made aware of from my website. I provided clear and convincing proof of Judaical misconduct, which at the very least you yourself should have forwarded to the Commission on Judaical Conduct. Second, your letter states that you only deal with positions appointed by the Governor. Well according to the Commission on Judaical Conduct website " Appellate Court Justices are appointed by the Governor from among the ranks of the elected Supreme Court Justices" the Court of Appeals Justices are also selected by the Governor thus these are people that you would surely have an obligation to investigate when charges of corruption a bought to your attention. That is your job. I want you to know that the FBI, The United State Justice Department, and the NYPD are all still investigating the charges. I hope that you now realize that your organization must also address this issue and not try to sweep it under the rug. This issue is surely something you have an obligation to address. Please feel free to email me with any other information you might need.